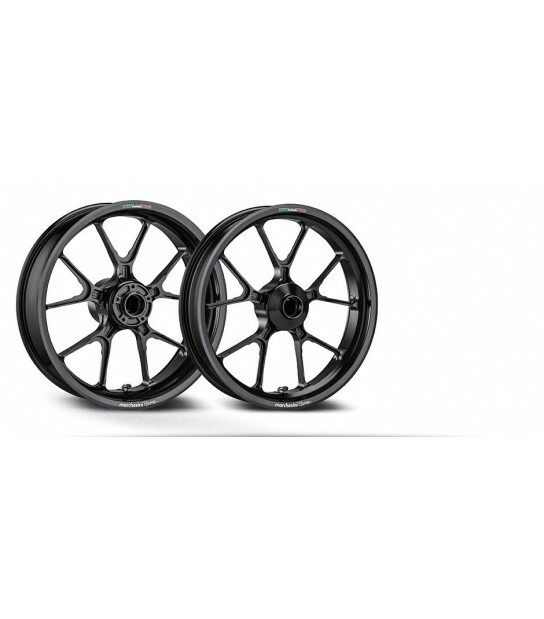 TUBELESS forged aluminum wheels for supermoto! 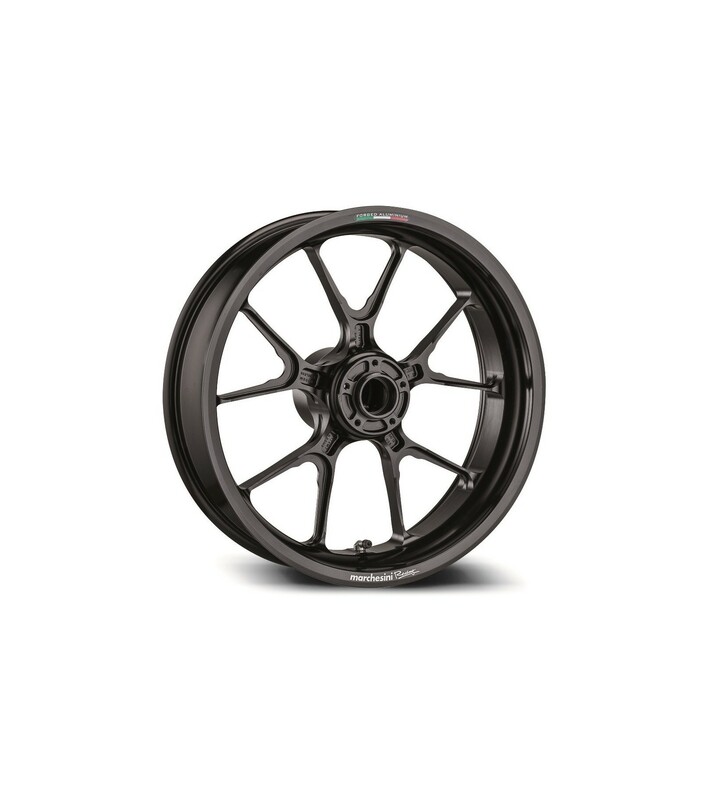 Marchesini offers it's very appealing aluminum wheels in a Forged model specific for supermoto! Used by Pro racers around the world they are a great option for anyone looking to get the most out of their bike. 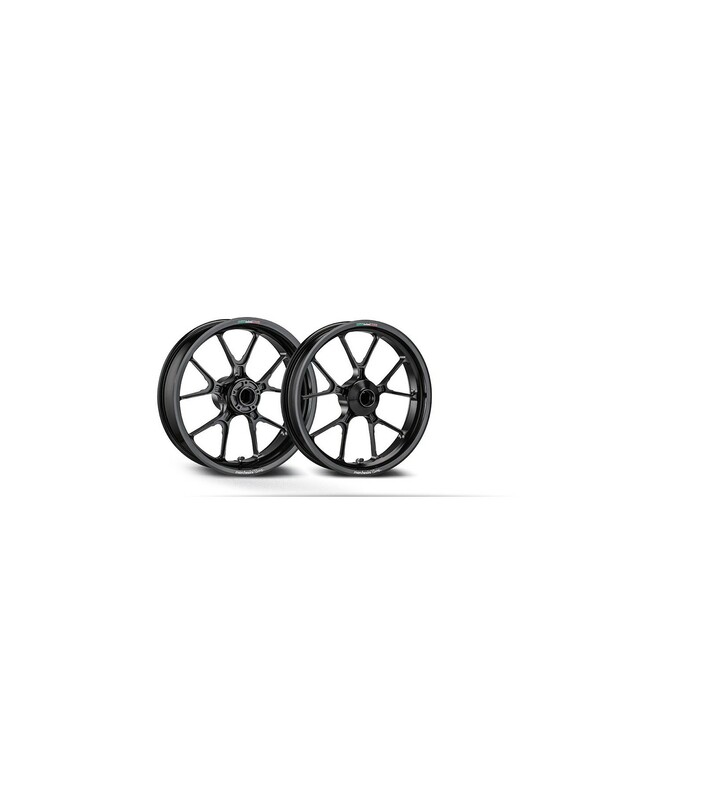 The wheels are lighter than a traditional spoked supermoto wheel that uses tubes. It's one piece forged wheel that ensures a high density molecular structure for the ultimate in strength. 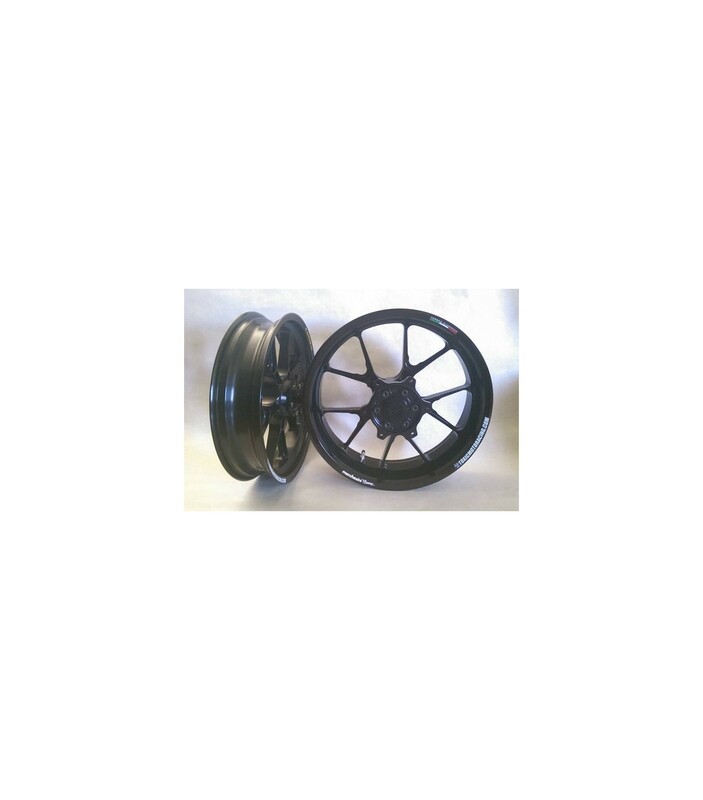 Front wheels are available in 17x3.5 and 16.5x3.5. Rear available in 17x4.25", 17x5", and 17x5.4". 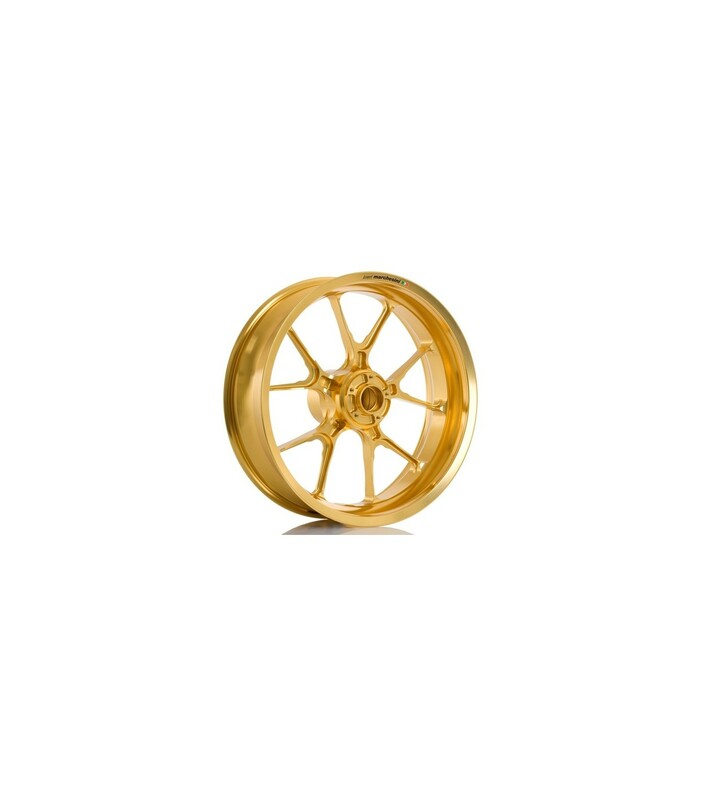 These are bare wheels only. Does NOT include sprocket, rotors, tires, or anything else. Just the assembled wheels. 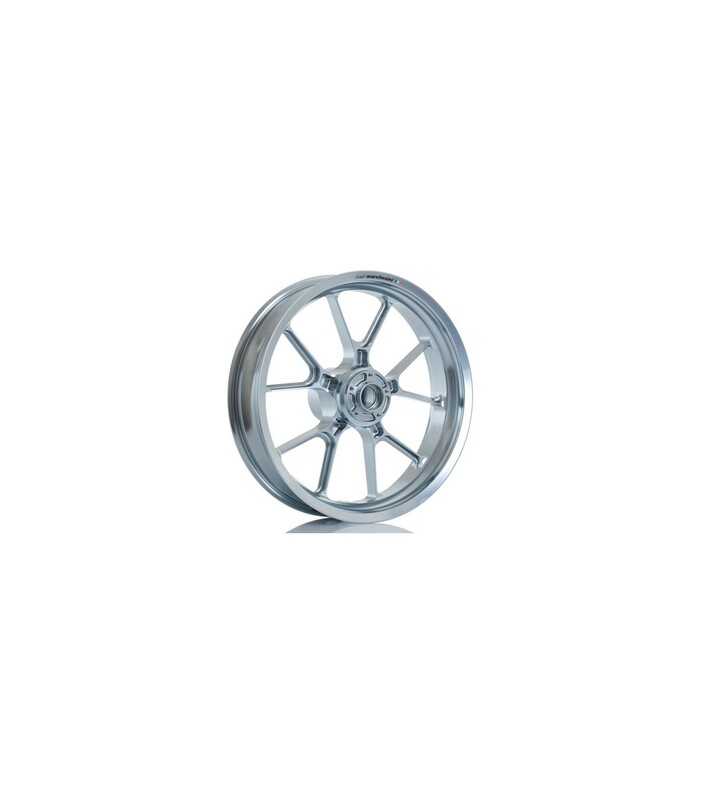 Lead time is currently about 12wks on Marchesini wheels.